Soothe delicate skin with Revercel's dual-approach regimen that both prevents aging and corrects even sensitive complexions. 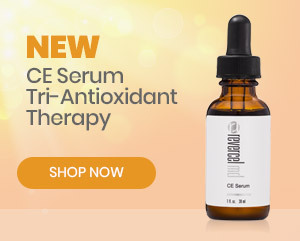 This advanced treatment regimen is designed to provide maximum anti-aging results for even the most sensitive skin. Soothe delicate skin with Revercel's dual-approach daily regimen that both prevents aging and corrects even sensitive complexions. Developed by innovative skin care experts, these advanced formulas are designed to reduce blushing and flushing, and prevent future damage. This non-drying, soap-free cleanser gently and thoroughly removes dirt and debris without stripping away natural moisture. The skin is left hydrated and refreshed. Use morning and night. 6 oz. Sensitive Skin Toner removes impurities and makeup. Citric acid helps stimulate cell renewal and witch hazel restores the skin's natural pH balance. Aloe vera and chamomile, natural botanicals, calm and soothe signs of redness. Use morning and night on clean skin. 4 oz. Finally, an eye cream that actually reduces the appearance of dark circles, under-eye puffiness and fine lines and wrinkles! Special light diffusers brighten and clarify while powerful anti-oxidants provide additional anti-aging benefits. Use morning and evening. .5 oz. Revercel's oil-free moisturizer is formulated with both sun protection and an anti-aging boost without feeling heavy on the skin. Perfect for use under makeup, this new formula features Parsol® 1789 to protect against UVA rays. Sea plankton helps reverse damaged skin while antioxidants neutralize free radicals. Apply each morning on clean skin. 1.7 oz. A light, non-irritating moisturizer that penetrates the skin without leaving a residue. Advanced lipid technology gently delivers moisture and Vitamins A and E to delicate skin while chamomile soothes and calms. Formulated for all skin types, Sensitive Skin Moisturizer helps restore elasticity and reduce inflammation and redness. Apply each night on clean skin. 1.7 oz.